Steve Dillon was my mentor and my friend. His sad passing so soon after being diagnosed with lung cancer has meant the world has lost an outstanding educator, husband and father. I first met Steve in 1991 when I got my first teaching job as a music teacher and he was appointed Head of Music at Kingswood. Steve was a very inspiring, dynamic and creative teacher and leader. During teh early 1990s, the Kingswood music department became well known in education circles and in the wider community as innovative, modern, technology rich and a place where students learned to love music, make music and could find a creative spark their journey of life long learning. Steve inspired me and taught me what education is all about – to inspire others to achieve their potential. Not a myth or legend, more earthly is its role. The Wyvern is the sum of things, which his school shares with me. It is more than just a coat of arms, a symbol,of this school. It makes of me a setting of its wise and brilliant jewel. Of knowledge and of wisdom, of test of heart and mind. The love of all God’s creatures, forever I will find. Steve taught his students and his teachers to love themselves as much as he taught them to love The Arts. He completed his PhD in Music Education at Latrobe while at Kingswood and helped many other educators (like myself) do likewise. 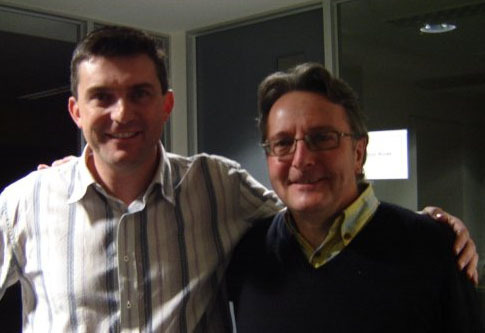 He went on from Kingswood to become a senior lecturer and researcher in Music Education in Queensland. He was recognized worldwide for his work in music technology, finding meaning through music, reaching people with disabilities through music technology, bringing music to Australia’s indigenous people, his research papers, his books and his own recordings where his singing voice and passion for life touched 1000s of hearts. Steve will be sadly missed by many people throughout the world. He leaves is loving wife Angela, beautiful daughter Bridie and a grandchild (arriving later this year) who he was really looking forward to teach. I will miss you Steve.